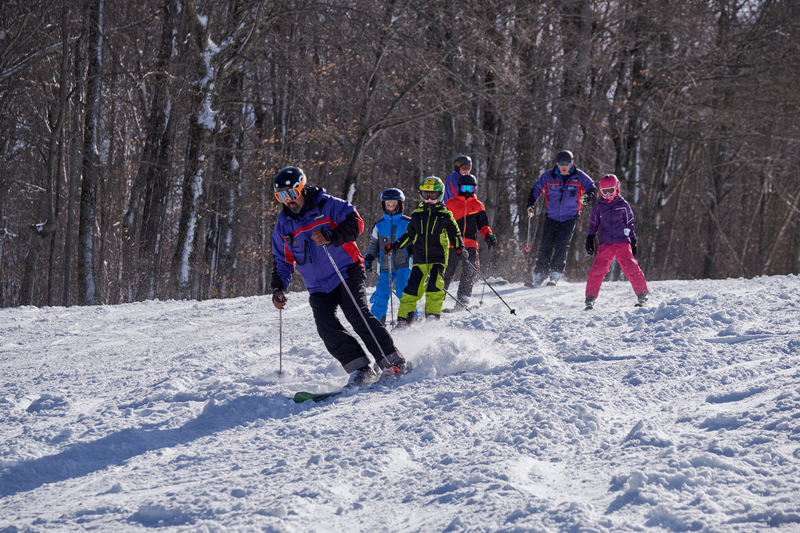 A series of five one-hour ski clinics offered to 5 years – adults , snowboard clinics 8 years – adults. Clinics include lots of mileage with others of similar age and ability. Release Forms must be completed for all Snow School group lessons. Save time download, print, bring with you on registration day. Equipment is rented on a first-come, first-serve basis. $25 for 14 & older. Sign up today for our MARCH Series. Click the button below to learn more.